He's mad as a hatter! Jervis Tetch, a.k.a. the Mad Hatter, is Batman villain to join the resin bust line based on Batman: The Animated Series! 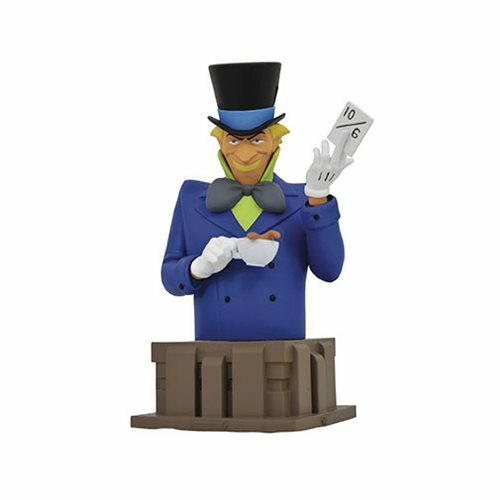 Holding a cup of tea and one of his trademark mind-control cards, the Hatter measures slightly over 6-inches tall and comes on a decorative pedestal inspired by the architecture of Gotham City.